Vibrant colors might be exclusive to the cheapest iPhone 9 variant. What do you think about that? Rumor has it that we will see three new iPhones introduced in September this year. All of them will have the new, nearly bezel-less design that debuted with the iPhone X, says the rumor mill. They will be placed in three different price tiers, with the cheapest one having an LCD display and a single camera, the middle one having a dual camera on the back and an OLED screen, and the most expensive one — allegedly called iPhone 9 Plus — would have a triple camera module and a huge 6.5-inch OLED display. We've also been hearing that we will be seeing some vibrant new colors on the new iPhones. The downer? Leaksters say that only the "cheapest" iPhone will be getting such colors as grey, white, blue, red, and orange. The two fancier models will only come in the classic black, white, and gold options. This reminds us of the iPhone 5c — when it launched as a "cheap" iPhone variant, it rocked 5 different, playful colors, while the iPhone 5s that came along with it only had the black, silver, and gold options. And that's a bit of a downer — premium phone owners also want some vibrant colors in their lives. Why should the choice be between "bottom tier, but colorful" and "top tier, but mundane"? So, we wonder — assuming the rumors are correct — do you wish the top-tier 2018 iPhone also comes in bright, wacky colors? Nothing screams "$999 well spent!" like an orange iPhone! Vibrant colors on the top-tier iPhone: yay or nay? No, I want my premium iPhone to have a classic color on it I am impratial, color was never a big issue Yes, I want the vibrant option! I might even get the cheapest iPhone because of the new colors! Yes, I want the vibrant option! I might even get the cheapest iPhone because of the new colors! The vast majority of the population use cases anyway. Plus if this iPhone has a glass back, then you will want a case, period. Look at what Apple charges you to replace the iPhone X glass back. It's over $500, which is ridiculous. The iPhone 8 plus costs over $400. Wtf does any of this have to do with anything in his reply? I’m reporting you as spam. I was clearly saying if there is a glass back on the iPhone 9. Then the colors won't really matter. Especially since glass breaks easily enough. Just look at jerryrigeverything or other sites. Plus if users don't use a case on the glass back iPhones, then you are playing with fire. Especially at the repair costs that Apple charges for the iPhone X, 8, or 8+. How is that spam again? Oh, that's right. It's not. Your just hurt because you can't handle the truth about your Apple love. "Plus if users don't use a case on the glass back iPhones, then you are playing with fire" And how exactly does someone choosing not to put a case on their smartphone, affect your life...even in the slightest damn bit?! Why is that something you even care about?!? My god, do us all a favor and just delete your account already. You hate Apple, but yet spend every waking moment b*tching and whining about them? Literally...what is the point. Is it sad that I gotta ask if you’re being sarcastic or not? This advice needs to go for both sgodsell and techskeptic. Fk is wrong with that dude? He’s got a woody for Apple, as big as the Eiffel Tower. Hey kiko, he did the same thing to my comment in the fist article today regarding these color options for the new iPhones. 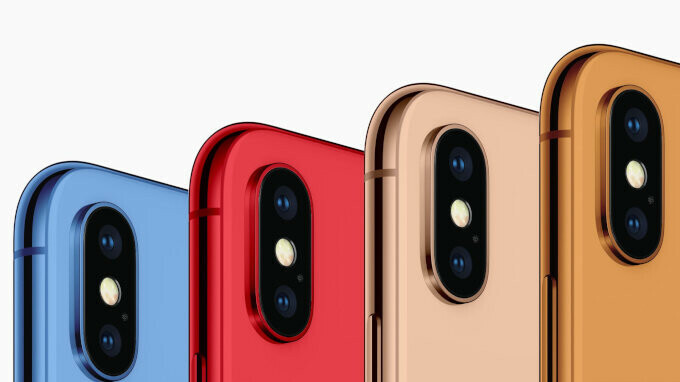 https://www.phonearena.com/news/apple-iphone-2018-color-options_id106426 Just a trolling account that looks for any excuse to troll Apple. That’s just sad. Like Apple criticism is normal... everybody does that. But color options? Really though? I honestly kinda feel bad for Sgod now. Should probably have him seek some attention because that level of opposition is irrational. You would lick apples rear even if they do wrong. I'm reporting you as triggered. And your friend. Orange. Can that really sell? The only thing I can think about is that even iPod touch & iPod nano released in color variants before it went non-existent.